I was born and raised in Mexico in a bicultural family; my mother is from Spain and my father from Mexico. I studied biology in the University of Guadalajara in Mexico, and my bachelor thesis was about the avian diversity of two protected areas of Western Central Mexico. For my professional practices, I went to ECOSUR research center to study the Baird´s Tapir in the Mayan Rainforest, focusing on their use of water ponds. Later, I worked as a volunteer in the Kalahari Meerkat Project in South Africa, and am currently in the process of publishing a children’s book about meerkat ecology and welfare. In addition, last year I was fortunate to be part of the late winter study in the Yellowstone Wolf Project in the U. S.
Since 2016, I am an active member of an NGO called Bio+. 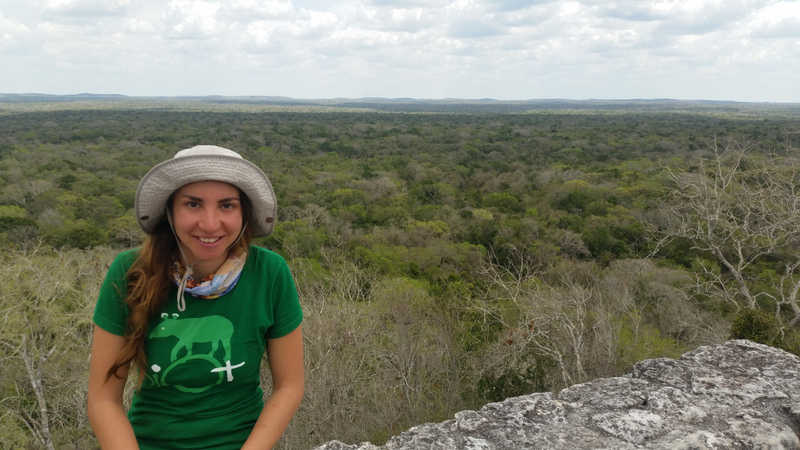 Through this NGO and together with Mexican researchers and local guides, I created and coordinated an international course about Techniques to study Mammals in the Mayan Rainforest. In addition, we recently founded Bio+ Mexico aimed at conservation of the Mexican Wolf. My main goal is to conduct population and behavioral ecology research linked to conservation, especially considering carnivores as target species, hence this course is ideal to my interests to assess animal populations for conservation. During this course, I want to focus my research on felid ecology in the western part of Mexico, in collaboration with the NGO ´Alianza Jaguar´. Being in WildCRU is like a dream to me as I have always wanted to learn, within a multidisciplinary environment, from the expertise of WildCRU Professors who have combined ecology and behaviour to achieve carnivore conservation. After this course, I want to study a Ph. D. related to carnivore ecology and continue with my conservation career.